We love these pattern books and they are constant favourites with our customers – fresh and modern and so beautiful to look at! All, newly re-stocked. Only available in store. 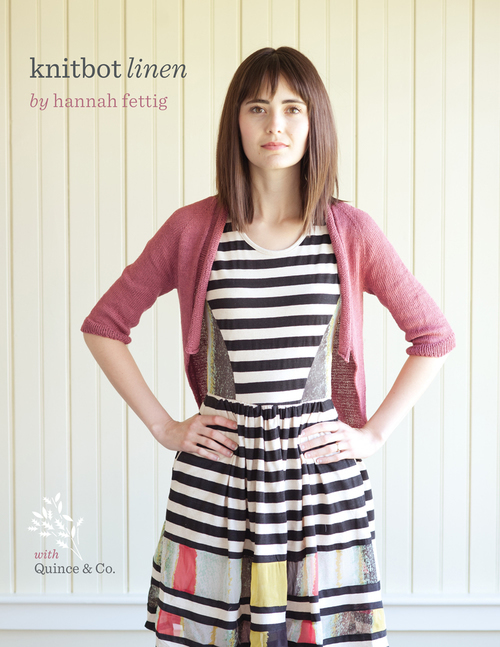 Home and Away by Hannah Fettig features nine versatile patterns, designed for knitters of all skill levels. Each sweater pattern includes two sets of instructions: you can choose to knit seamless or with seams. In addition, Home & Away is full of information to help you increase your knowledge and skill, with articles on gauge, fit, understanding a pattern, yarn substitution, and MORE! Beautifully photographed along the coast of Maine, this book will serve you both inspirationally and practically in your endeavors to grow as a knitter. Knit With Me is a collection of 12 designs by Gudrun Johnston in collaboration with Quince & Co. A mother & daughter collection. 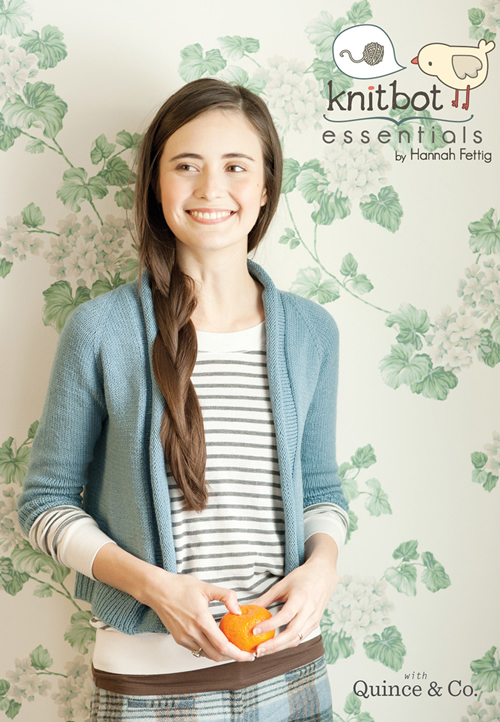 Knitbot Essentials is a collection of six popular Hannah Fettig designs paired with three of her must have accessories. Knitbot Linen features six unstructured knits designed and knit in Quince & Co. Sparrow. Inside the book you’ll find five garment and one accessory patterns. I share my tips on knitting with linen, and Pam talks about the Sparrow color palette. Knitbot Yoked is a collection of four modern round-yoke sweater patterns and two accessories. 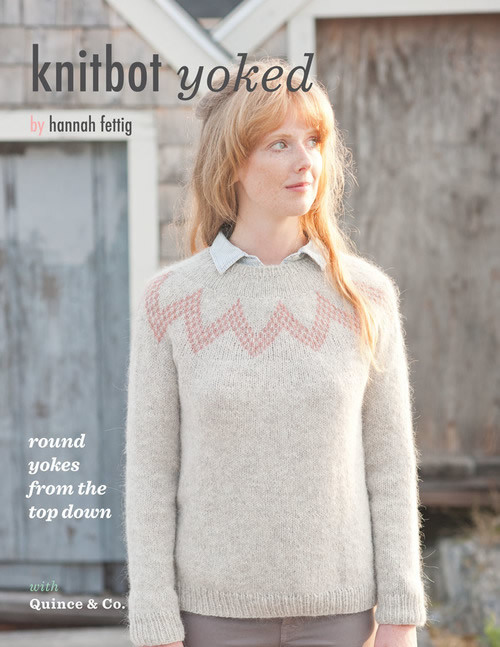 Hannah Fettig provides valuable tips and techniques for knitting round-yokes from the top down. This book also serves as an introduction to Fair Isle knitting. Knitwear designers Alana Dakos and Hannah Fettig are two friends living on opposite ends of the United States. They have come together to produce Coastal Knits, a compilation of ten fresh designs inspired by Alana’s California and Hannah’s Maine coastlines. Each design captures the essence of their favorite local destinations, and is accompanied by photographs and essays on the location’s special meaning to the designer. It is a personal, inspiration-based collection of sweaters and accessories that knitters of all levels will appreciate. Tanis Fiber Arts – Green Label Aran & Yellow Label DK re-stocked! Rowan Knitting and Crochet Magazine 59 now in!